Our leather Milanese Pauldrons are specially designed and conformed to the shoulder to provide more protection by using a larger section of leather and shaping it to cover more area of the shoulder. The pauldrons have to lace holes at the top of the shoulder and come with laces so you may lace them on to your existing harness or gorget. They are made of thick 13/15 oz. armour grade leather. 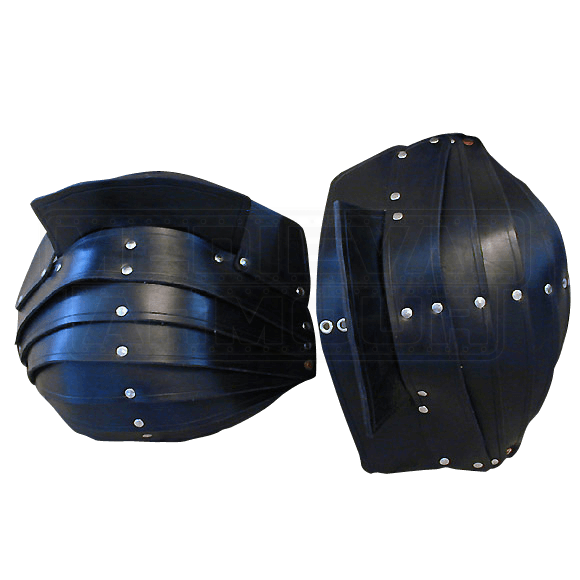 The pauldrons are available in black or brown and are sold as a pair.